The Biomedical Engineering Department. 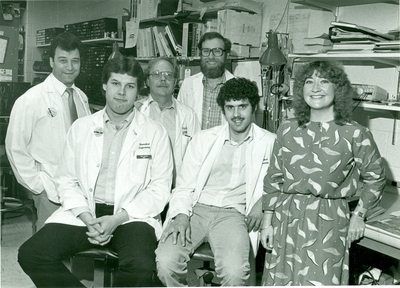 (back row from left) are Mike Spleen, Thomas Fichter, Dennis Fetters., (front row left) ?? Robert D. Silberg, ?? Do you recognize any of the professionals in front?